Since November 1996, Barry Taylor has been the Legal Advocacy Director at Equip for Equality, Inc., the Illinois Protection and Advocacy system, in which he supervises the legal services, self-advocacy and training programs. Taylor has also overseen many individual and systemic disability discrimination cases including successful federal ADA suits against the National Board of Medical Examiners, the Chicago Police Department, the Chicago Transit Authority and he is currently counsel in a class action on behalf of people with developmental disabilities living in large private institutions who are seeking community services. He also oversees the agency's self-advocacy training project, which in its first eight years trained approximately 23,000 people with disabilities on the ADA, guardianship, transportation, voting, employment, and special education. Taylor has also given numerous presentations on the ADA across the country to people with disabilities, employers, service providers and advocacy organizations. Prior to becoming Legal Advocacy Director, he was a Senior Attorney for Equip for Equality, and his primary focus was systemic litigation and education under the ADA. Taylor has been the Chairperson of the Disability Rights Consortium; Chairperson of Season of Concern (Chicago AIDS fundraising organization); Chairperson of the Legal Committee for the National Association of Protection and Advocacy Systems, Chairperson of the Chicago Bar Association's Legal Aid Committee, Chairperson of the Chicago Bar Association's Mental Health and Disability Law Committee, and he oversees the Illinois ADA Project. Taylor is an Adjunct Professor at John Marshall Law School, and in 2001, Chicago Lawyer Magazine named Taylor one of "40 Illinois Attorneys Under 40 to Watch." Prior to coming to Equip for Equality, Taylor was the AIDS Project Attorney in the Midwest Regional Office of Lambda Legal Defense and Education Fund working to advance the civil rights for people living with HIV/AIDS. His caseload included a successful challenge to discriminatory inquiries by the Chicago Public Schools on teacher applications. His work at Lambda also included extensive education work regarding HIV/AIDS and the ADA. From 1988 - 1993, Taylor was a litigation associate at the Chicago law firm of Peterson & Ross. He is a graduate of the University of Illinois College of Law, where he also received his undergraduate degree. 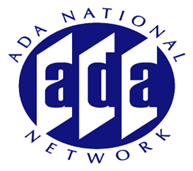 12/16/2003 - After The Supreme Court: How Are The Lower Courts Handling Cases Brought forth under the ADA?